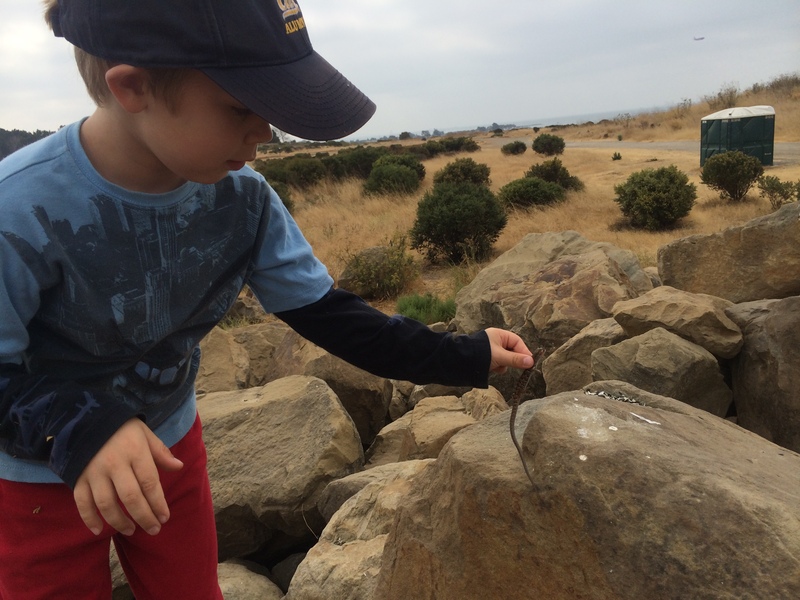 Kieran, his grandmother and I went to Oyster Bay, a park built on an old landfill in San Francisco Bay near the end of the Oakland Airport runway. Since the land was constructed of huge blocks of broken up concrete, it’s a convivial place for snakes and lizards. 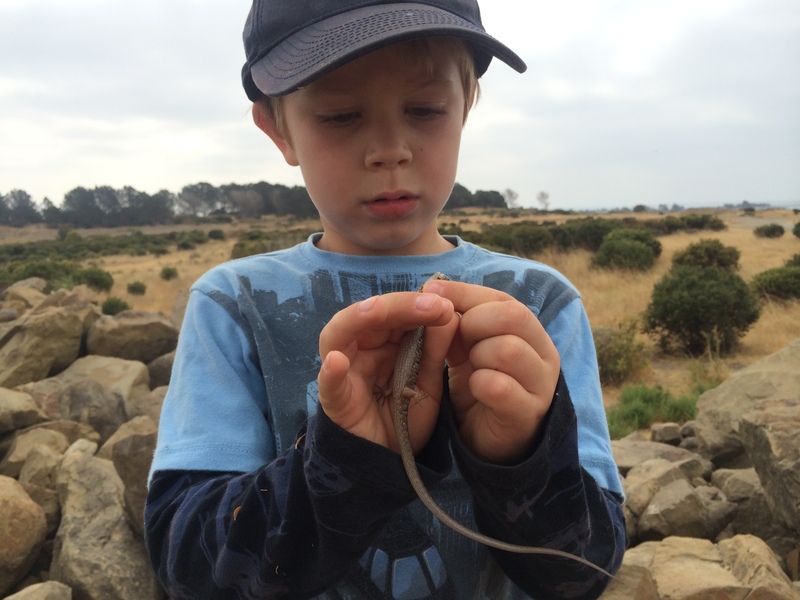 On Sunday we found two young alligator lizards in the genus Elgaria. We have two local species of Elgaria, and I’m not expert enough to tell ’em apart just lookin’ at ’em. 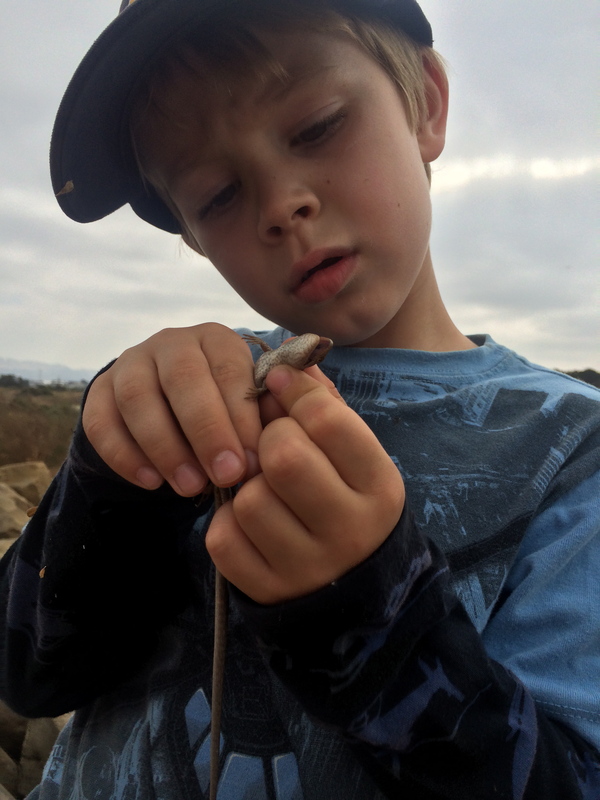 They’re fascinating, snakelike lizards — even though they have legs they tend to slither through the dry grass in a serpentine movement. Their long, long tails contribute to the snakelike sense, and they’re prehensile. 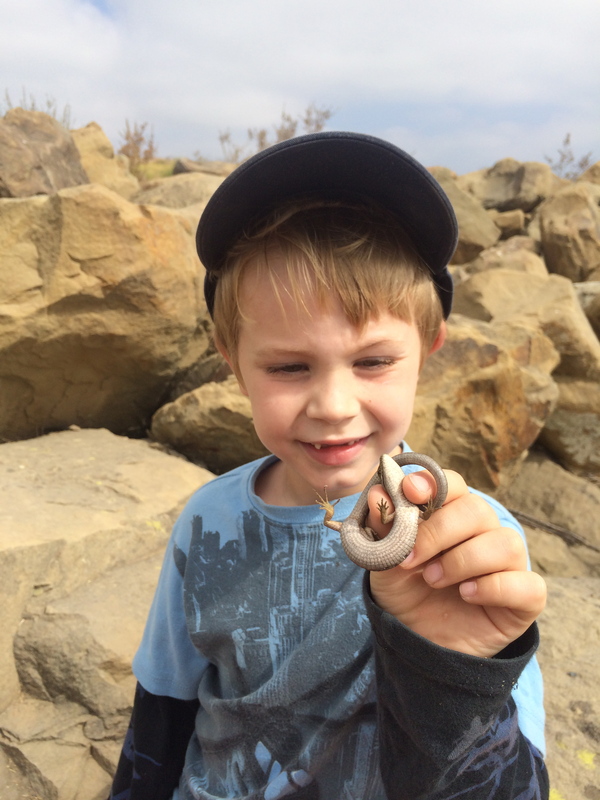 Alligator lizards are fierce and do bite, though these young specimens couldn’t break the skin or really hurt us much. We also caught a dragonfly in the meadow. I suspect it was Sympetrum corruptum due to the distinctive diagonal white stripes with yellow dots at the end on its thorax. 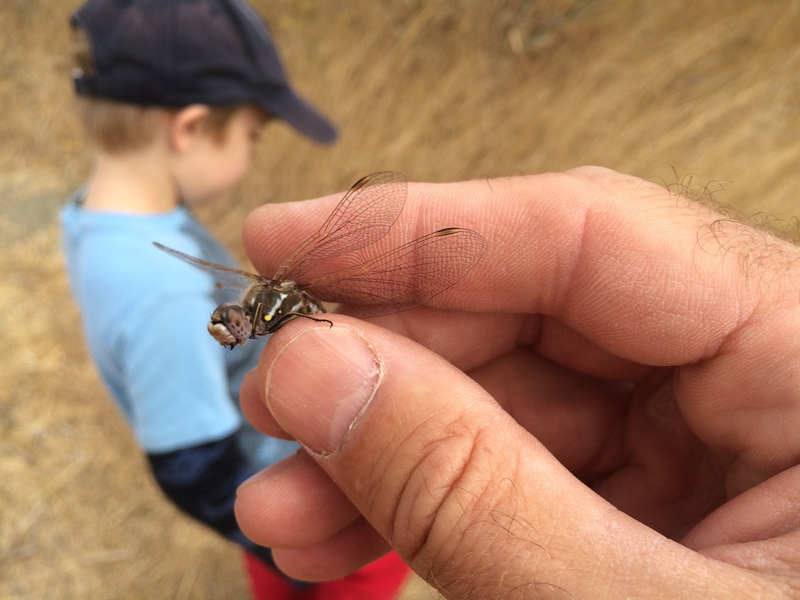 It was considerably smaller than the big Anax junius dragonflies we caught earlier in the summer. 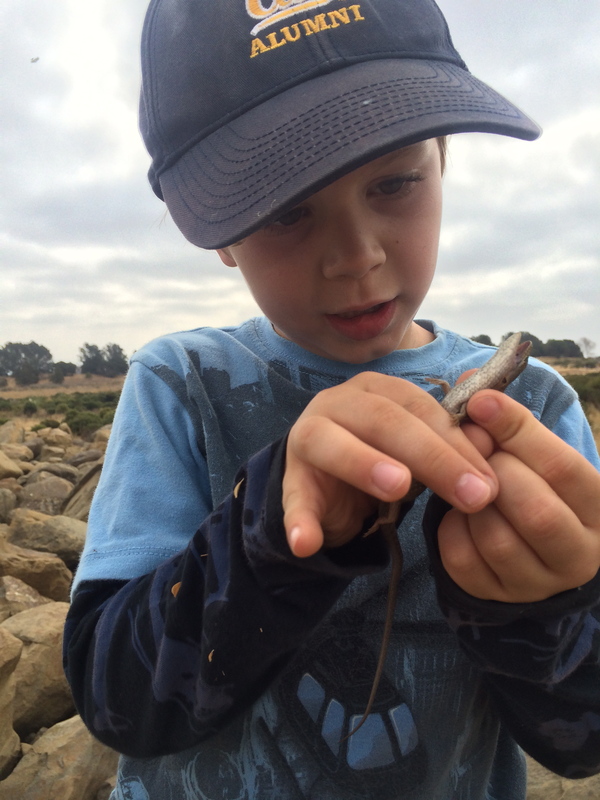 Alligator lizards have a very long tail compared to the length of their body. 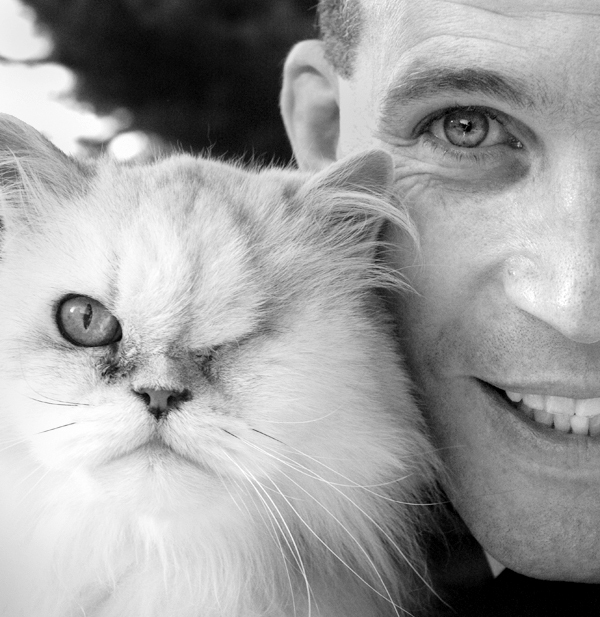 He knows from our previous experience that they bite, and so is careful. 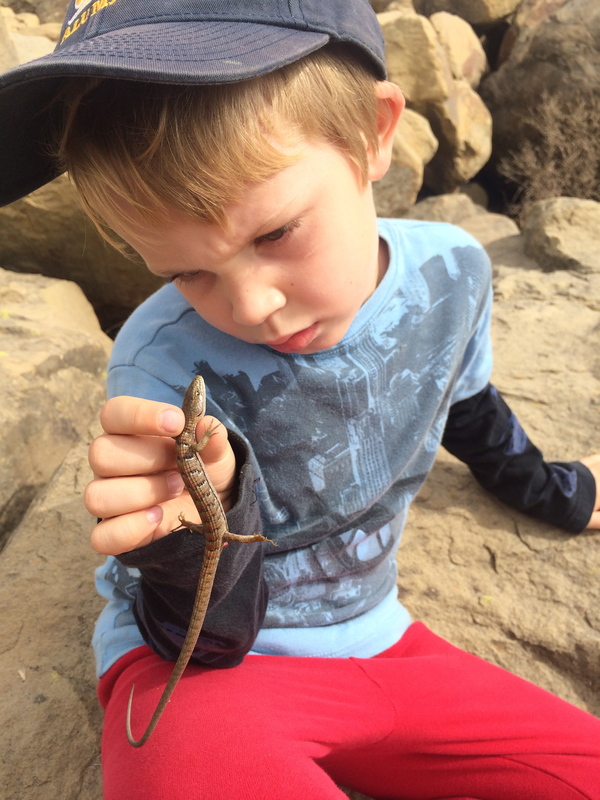 Kieran carefully studied the first alligator lizard we caught. 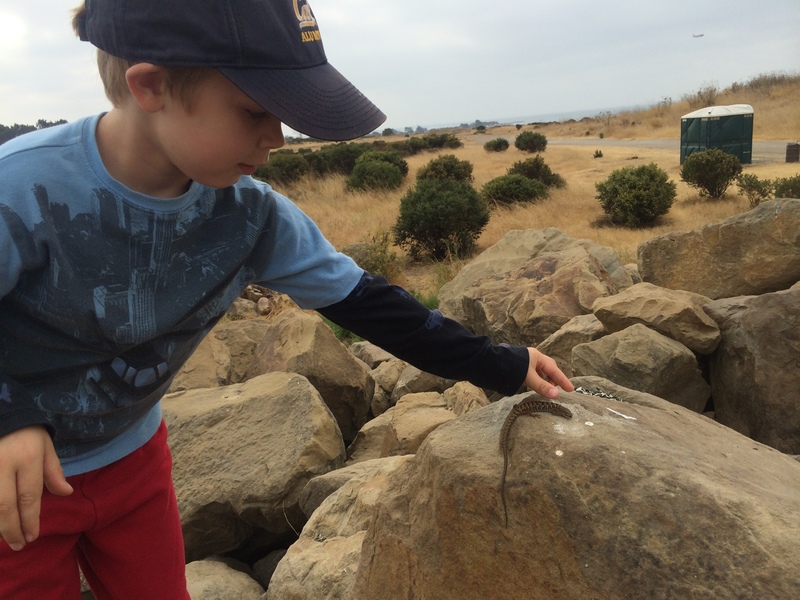 Kieran carefully set the first lizard on a rock to release it. Elgaria use their prehensile tail in climbing. 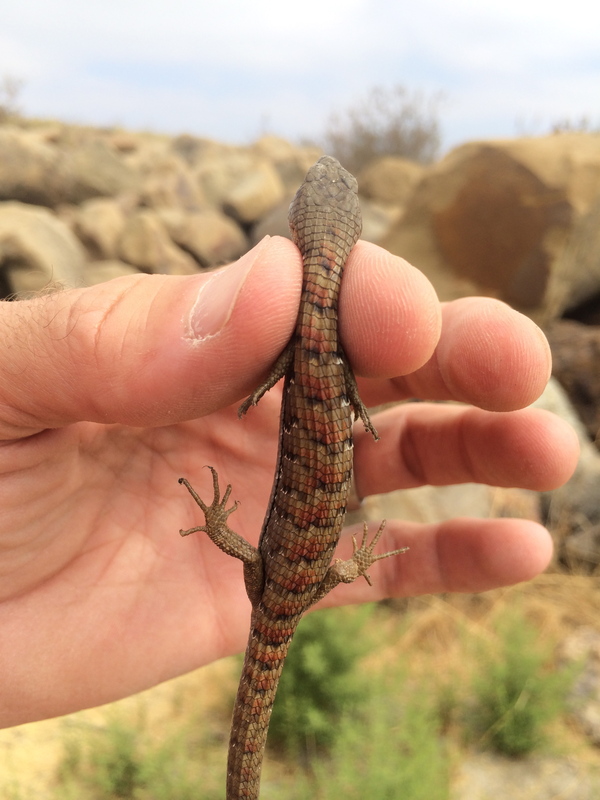 A closeup of the colorful scales on the lizard’s back. We also caught a dragonfly, which I think was Sympetrum corruptum, a species of meadowhawk. 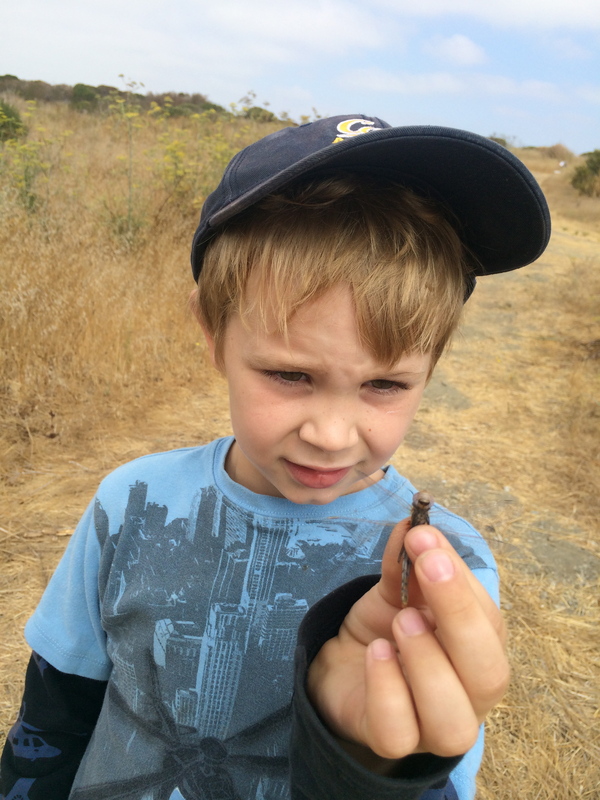 Kieran held the dragonfly carefully before setting it free.